I get so many emails and questions asking me if I think someone should do PPC, or outsource articles, or purchase a pre-made website, or buy this program or that program, or do article marketing, or….or…..or…..or…..(you get my point). I know it can be difficult trying to decide where to start, what to buy, what NOT to buy, what’s worth it, what will work for you – but it really comes down to one question of yourself… Time? Or Money? Let’s put experience and all that aside for a moment and talk about the hard-core question that should be in the back of all our minds when choosing what to do to make money online. It comes down to Your Time, or – Your Money. Do you have more money than time? Or, more time than money? For example, when I started, I had more time each day than I had money to risk. I couldn’t afford to do PPC -whether it was “easier” or “faster” or not – I simply didn’t have the money to risk, let alone the money to do it at all. The biggest investment I could make on my new online business at that time was my time and my elbow grease – and I invested a LOT of both things! As time went on, I managed to get to a place where I wanted to save time and I used money I had earned to do just that. I saved my time by getting good tools, by outsourcing, and now, by purchasing sites that are pre-made. Before, when I had no money, I did all my research by hand using free tools. I made all my own sites, promoted my own sites, wrote for my own sites – all of it. Was it the “fast” way? Was it the “best” way? No, probably not – but it was the ONLY way for ME. Was it hard and frustrating when someone would offer to show me the light for only $700, $70….or even $7? Yes – because I didn’t have that money to spend in order to see that light. I had no option but to find the way myself. We are all blessed with 1,440 minutes in each day – 24 hours. Those minutes were my investment into myself, my business, and my family’s future – and I invested as many of those minutes each day as I possibly could (and then some…lol). But dollars were NOT an option. I had to invest alllllllll those minutes in order to eventually have the luxury of investing dollars to save minutes and hours. Perhaps you have time and some money…. It’s also possible that you have very little time each day – and no money to invest. These are all very real situations that I hear about from very real people every, single day. If you have limited time to work (as in WORK…lol) and no money, then I recommend getting a plan and following it each day. Stop tormenting yourself with all the offers out there for things that you can’t have right now – and only work each day for the time you have. If you have ALLLLL day, but no money, I recommend the same thing. Always keep note of the things that take the most time from your day so when you DO get money, you will know the things you need to save you TIME. If you have some cash then think about investing in things that will save you time. What those things are truly depends on your experience and knowledge level in this industry. For example, perhaps you know how to do keyword research, but it’s taking a lot of your time. You would then look for a good keyword research tool that will do what YOU need done to save YOU time. Can Having Money Accelerate Your Success? That’s a good question – if you ARE able to buy things, does that mean you will succeed faster? Sadly, there are too many people out there who have spent thousands and thousands of dollars – and never really took any ACTION. It’s a sad cycle of buy this/try it a little…. move on and and buy that/try it a little…..and so on and so on and so on. However, I do believe that those that make thoughtful purchases of things that they WILL use and know WILL save them time so they can be even MORE productive, will see faster results from their ACTIONS. Money, alone, will not buy you success online. YOU create your success – no matter WHAT your situation is. Do you REALLY want to know what “works” to make money online? I can smell it – success. I work more than I work smarter. Perhaps I know too much! I implement every day, but haven’t found those golden eggs (keywords). I am using the keyword tools, and listening and stil… I spend more than I make. So —you are always a constant encouragement to me! Keep posting Georgia girl! Girl you hit it on the head–my head, that is, so OUCH! True, we can be our own worst enemy with time and money. “Focus” works whether you have either, neither or both. That’s why “methods” are total shortcuts to success–someone else already did it, so take advantage of their hard work. Thanks for sharing your time and hard work. Learning to work smarter is part of the process – and it doesn’t take money to learn it (tho some tools can make you faster…lol). Keep at it – fierce determination is key! I can say with an emphatic “NO” that money does not help you succeed faster online. I know this because I have money and it did not help me any faster than not having it would have. Bottom line is you have to have some basic fundamental knowledge of what to do and how to do it online before you can make money online. Outsourcing what you don’t know or buying a program “thinking” it will get you where you need to be is pure hogwash (can you tell I’ve spent a few dollars on these things!). For any new person out there, take it from experience – learn the basic building blocks, come up with a plan and plan to work your plan. It really is that simple. Only now do I do what PP Girl (couldn’t resist) says and that is pay for what saves you time. All the new, shiny programs will not get you to where you want to be any faster. Put me under lots of time but not much money. I’m new to ecommerce and IM. I didn’t come across PotPieGirl for a few months, but I’m glad I did. I like hearing some sensible perspective from a gal who started with about zilch financially. I too am just starting out. There are many shiny products out there. I’m trying to start out like you. I have alot of time but hardly any money. Like anything else if you want to succeed at somethig you have to put time into it.. You’ve shown me a whole new light on IM. If it were’nt for you I’d be lost. I’m a newbie. The only thing I did on the internet was surf and email. I know money can be made online and you’ve been so helpful. To me your not potpiegirl your potpieguru. Thank You so very much. thanks for your reflections. At this point I would like to add something of my own experiences. When I started my interest in Internet Marketing, I had no idea what to do a part the fact to earn money this way. I had some money to spend and also some time to dedicate. As a result: I bought something here, something there – tried these ‘really hot tips’ here and there. You can imagine: success = zero. Time changed and I had no time to dedicate on the IM income. So I left the idea. There were so many offers out there and I didn’t know what I want to do. Is my goal to do everything, just for the purpose to make money, although I don’t like the method or is it better to find a way that suits to me, my interests, my way of acting? It’s understandable that at this point its easy to quit following the original idea. But the idea follows me and while I receive – surely as many of us – a lot of these emails: buy this, do that, don’t miss this opportunity, I was still a little bit in contact with the thought to earn money with IM. Not so long ago I finally received an email, which PUSHED MY BUTTON, I got the green light of how to work! It’s now up to me, to follow this way. To my opinion as a newcomer in this business, you spend a lot of money in buying information on how to start. – what I’m interested in? – what kind of person am I? – with whom I like to comunicate? – how will/can I reach these people? And than start trying. I’m convinced that a method, which works for A not necessarily does work well for B. Conclusion: Having Money will not necessarily accelerate success. On our way to success! Let’s test wthout spending great sums of money everything which doesn’t work. The day will come and we know what works and than it’s buying-time for all these tools which help gaining time. I don’t think that more money will help but I know that I can definitely use more time to work on my sites righgt now. I try to squeeze in as much time as possible but I have to keep reminding myself there are only 24 hours in a day. I think that people should really do their own work in the beginning rather than outsourcing so they can learn every aspect of the business. How will they know if the outsourcing is done properly if they don’t know how to do it themselves? happen to be in the plenty of time and no money. I am in a wheelchair due to a stroke and a bad heart. So I can spend more time learning WA. yet, I have learned a lot through WA. great boost to my morale and ego! ha!ha! As long as you keep a level head about earning money. Having a little money, like maybe $100, and the desperate yearning to succeed and find a program that works will put you light years ahead of most consumers. The key phrase is desperate yearning to succeed because if you’re about to become homeless and are scared about your future, you will invest your time 100 percent to get to that next step. Having a mentor or finding a program like One Week Marketing means that you’ll cut your learning curve in half, for sure, and you’ll benefit by following that person’s proven system. You just have to make sure that there are no additional fees or tools required that would cost you more money before you can make money. Thank you, PotPieGirl for all you do to help others. Do not be lazy and stick to your game plan for online success. Great article! Odd really this Time or Money issue has been following me around since I was a teen – when I could either do a part time job and have no time to spend my money or no job and no money to spend in my time! This is the year to put all that behind me. I have Officially declared (!) this to be my Breakthrough Year and using my own edited version of “One Week Marketing” to build enough income streams so that I have surplus money AND time. I agree with everything you said, but money helps. If you have the where with all, money can accellerate your growth. But, the reality is without money you get in the trenches and fight your way out, like you did. I just try to listen to you and do what I can until I break the ice. The sad fact is that even if a newbie had the money to buy the best tools – they would still have a problem. If you had a garage full of tools and weren’t a mechanic, they would not do you much good. Being able to use the tools you have effectively is the challenge (whether free or paid). When looking at a niche you also have to have some common sense and not try to sell hot dogs to vegetarians. In that case even the best tools will do you no good even if they are free. Tenacity and determination are more of a factor than money or time as they will overcome both issues. The fact is that most don’t think you need that nasty four letter word – WORK. They think owning your own business will be easy and smooth sailing. The ‘gurus’ have put the picture in everyones head of sitting on a beach and getting money for nothing. They also show the big PayPal account and “Look what I have made in the past 30 days” – without telling the rest of the story as they have been doing this for years and have a HUGE list to make this happen. I have more money than time, but not that much money. The most important thing for me right now is to get the fundamentals right. I could waste way too much money investing in stuff that, in my ignorance, seems plausible and credible. NOT. So I’m choosing the slow, one brick at a time approach, though I must admit that can be painstakingly slow some days. I’ve also developed a rule-of-thumb about buying stuff coming at me on-line since I dived into IM two months ago. (I must admit I’m as susceptible as the next person when someone comes at me with a perfectly good idea/product.) So here’s my rule-of-thumb: I SLEEP ON THE OFFER FOR TWO NIGHTS BEFORE MAKING A DECISION. Many more times than not, I’ve let the offer pass. Keep up the good work, PotPieGirl. As many of you pointed out, what good is something if YOU don’t know how to do it properly. Like outsourcing – how can you be sure the job was done properly and effectively? Great feedback all, thank you! Oh Carlen, good for you!! I love the attitude! Really good post Pot Pie Girl. At first it is a BIG learning curve. You gradually learn by others who have GOOD no nonsense marketing information. Once you get that first check no matter how minute …it can become addicting. Eventually u realize how much more you can make by repeating the process again. Profit a little first then use that to profit more. There is no quick way. Unless you have big bucks to give to whoever says I will make you richer. But of course most of us know that is nonsense. Good point, Paul! And so true! I retired from a 8-5 J.O.B. in July ’09 – tired of the rat race but not really ready to quit working. Guess I’m not real bright as now I have started with IM and can’t quite get my mind around it. I’m not brroke but always figured that you have to know how to do the work before the tools will really help. (computers for example). Been trudging along for a couple of months now – not in a hurry but getting frustrated because every time I think I’m getting a handle on something someone comes along and tells me that it should be a different way. Oh Well – that’s life. In my humble opinion I think it would be nice to have both TIME and MONEY but in real life you are right. it seems like most people getting into the IM field are short on funds or are trying to get out of a job that they either hate or don’t enjoy doing anymore and have very little money to invest in this new venture. You, Jennifer, are doing a great job of helping people, especially those without money. You have so much free and useful content on these pages that in reality a newbie, working hard, could make it getting started with no extra money. Use the free squidoo lenses then reinvest your profits until you have a full time income. Just like you write about here. Keep up the good work, you are an inspiration to many that don’t have the money. Now that was one of the best articles I have read yet… and Jennifer seemed to make everything so simple and clear. Excellent article, and many thanks. I hear ya, Rich….that is the frustrating part – SO many conflicting opinions. The “secret” is find what works for YOU. There is no right way/wrong way to do this. Well, so far I can’t say I’m successful, but I’ve had a taste of it with this “make money online” stuff. Almost 500 bucks so far, in a few months, and the other day my FIRST EVER listmember signed up! I’ve got a couple real niche websites up and running too. So far I’ve been investing (not enough) time. I’ll continue to do it that way for awhile since I don’t yet have money to invest. For the couple here who talked about not knowing how to use the tools you have in the toolbox. Tweak, test, tweak, test, be a stats junkie, see what’s working, tweak and test some more. write some more articles, change headlines, tweak and test, lather, rinse, repeat. And get the next campaign up while you’re doing all that. That’s what’s STARTED the ball rolling for me. Though I’ve got a long way to go. A very long way. I’ve enjoyed your writings and am re-entering the world of individual online marketing. (I published an ebook that was purchased in 40 countries, that was fun and profitable). I just spent last night reading many of your articles on Niche Sites. I’ve made my decision on what to purchase from your portfolio of choices. For myself, I estimated $124 up front, $30 a month ongoing (Hostgator plus WordPress Goldmine). I decided to hold off on purchasing Unique Article Wizard and Wealthy Affiliate Marketing until I succeed with income from Niche Sites. Perhaps you’ll write a simple blog article on different stages of investments that your readers can invest. Thanks for your articles. I’ll be purchasing in a day or two. Thanks for the post. I would say master one way of IM, article marketing for example. When you start making money and you know what works in that area, outsource. This is when I think the money matters. When you start making money in a niche, invest the money in what works! No “shiny stuff” what you know works already. I would have to say that time is the most valuable asset to have. But there is a definite difference between what you do with your time and the money factor. Being a broke newbie to internet marketing I quickly realized that I had a HUGE advantage: Time. Being great with research definitely paid off for me. I have a mantra: Never buy anything unless it helps you with a task. To date i have only bought 3 things for internet marketing. It is so true that you do not need to spend money on this or that. Save the money for your business. As far as time, spend it on research. Know when to outsource (article marketing and submission) and know where to spend your money ( on your own business) and honestly if you have done the research you should not be spending money at all. I would have to say that the more money you spend on internet marketing is an inverse relationship with how much you research. If you are spending a lot of money you probably are not doing enough research. Understanding the basics will get you to where you want to go,,,,what I have found is ,,,,,keeping it simple is the key……too much information can stop you from moving forward. Throwing money at it will not help unless you have a plan and system or are very lucky…. Keep working and taking action ….one sale leads to 2 to more…..
I’ve bought a bunch of programs too… although have used common sense and not spent too much. Some have been helpful, some have not. I have to agree that you can buy all the ‘shiny’ things in the world but unless you take ACTION you will not go anywhere. I found that once I put down the books and put into action what I have learned, the wheels started to turn. The first few times it may not have been perfect but it was a start. Sitting and reading, buying and not using won’t get you anywhere. You just have to jump in and DO “something” consistently and all these little bits add up. Jennifer, I love your common sense. Keep up the great work and honest advice! You get a gold star! You picked a service you could offer that can bring in money NOW – and then promoted that service full-force across the web. I did some by-the-hour intern type work for a few months when I first started. I basically sold my time for money in hand NOW. (I also learned a ton doing it). But my goal was to sell some of my time now so I wouldn’t ever HAVE to sell my time again. To me, that’s what a J.O.B. is – selling your time for a rate that someone else deems you are worth. My goal was to do whatever it took to get to where I’d never have to sell my time again – unless I wanted to…lol! If that’s YOUR goal, too – you are on the right track! When I first started, I had little time and no money. I did all my writing and marketing and bought very few tools (one of them being the one week marketing books) Now I have little time and some money, so I am able to outsource some article writing. It’s actually a great balance. I like reading your emails and posts, they remind me that sucess is not automatic and that you have to work at things to get the best out of life. I do seem to have found something that works for me and its just a case of doing a little bit of work at every opportunity I get so that those small actions add up to one big action over time. Great to see you are still so passionate about your work, it really helps people like me get through the hard times. I am a big believer in boot-strapping even if you have money. There are just some fundamentals to learn in this business that you cannot buy. But, OK, I’m going to shamelessly promote you. I bootstrapped for a year and learned a lot and even made a little money. And I could afford to do PPC and all the programs I wanted. Then I bought your OWM for the sequencing of the process. It’s like getting that one letter on Wheel of Fortune that tells you what the word is. Thanks for that GEM. I’m not a real advocate of spending tons of money to learn, but if you have a few dollars, if you understand what you expect as a return before you spend it and if you know what you don’t know and can buy what you need, I believe the motto should be “do when you can and buy when you must, but have a plan”. Just keep swimming. There’s little question that people need to learn all the basics and fundamentals on their own, and I think it’s also really good even beyond the basics to learn enough to know what you do best, what you have the hardest time with, and learning enough to be able to test your own results. Once you’re at that point, then I definitely think that cash can speed up the results, but it doesn’t do any good to outsource too early, in my opinion. Thank for all of you help! Great post Jennifer. I have been working hard to eliminate the “shiny things” from my life. Even canceled most newsletters. I’m only following you, PotPieGirl. I am into WA as well. Thank you for being there for us “lost sheep in the wilderness”. i purchased the one week marketing plan about 4 weeks ago. i have read it and read it and read it…the usual routine for newbies. then i finally read the conversation with Nick. what i have come to understand is action is what matters. Hands on, trial and error adjustments is what makes the difference. start with what you can do at no cost and build from there. i am currently setting up my affiliate accounts and visiting all resource sites recommended.. I procrastinate because i dont believe i can do it. i realize that now. time to prove myself wrong. Thank you PotPieGirl. Great article and something so many can relate to. And the information overload out there doesn’t make it any easier. I started in IM a couple years ago with some money and lots of time. I am a CPA so I was very focused on the ROI of any product or service I bought and since time is money I consider time saved as a return on my investment. When I started learning about IM I kept notes in a spreadsheet (that’s the accountant in me) of all the tools and resources I found on thousands of websites, ebooks, etc. This spreadsheet has saved me so much time and money. I constantly refer back to it and 99% of the time I had a link to a free tool to do what I needed to do. I recently put all the FREE tools and resources from my spreadsheet into an ebook. I have a paid version with 900 resources in it and a free version with almost 500 resources in it. And yes, a few of Pot Pie Girl’s resources are included in the ebooks. Jennifer’s stuff has been such a help to me (and I am a former Georgia Boy from north of Atlanta – now residing in Arizona) I will do a special deal for her readers but I don’t want to side track her blog post/comments but if she OK with it I will post the links. Jennifer – email me if you want a copy of it or more details. Hi Jennifer want to have a look at some affiliate web sites that are linked to vendors where do you recommend and whats my best place to start building my website. I too have a little more time than money. Your OWM system is great and it works. If you know what you’re doing, money can help you speed up your success. Spending blindly won’t help. I prefer spending time for the most part. It’s hard but even with money you’re going to have to spend a fair bit of time in order to succeed. Great article!I am one of those people who has little time and minimum money to invest. I have also spent too much money on things that are gathering dust on my hard drive! Nowadays I am very picky about what I spend money on including tools and outsourcing. I think this past year the light bulb finally went off in my head that my biggest downfall isn’t lack of time or money but jumping around before seeing a project to completion. Just on time as usual. I have been doing a lot of investigating on new programs and things that evidence has shown would advance my business, but, although I could squeak out the money, I realize that the time is not right to do so. I am in one of those more time/than money posisiton and, although I know the new program would maek things faster, I don’t know the basis of what i wish to replace good enough by hand to automate it. I am going to hold out and put in a bit more “elbow grease” first. In fact, I’ve already built one niche site and starting on a second one. Let’s just see how long it takes me to fine tune the “time” way before I go the money way. Again, thanks for the wise words. All the best! I could not agree with you more. Even if someone did have the money to buy the tools in the beginning, I believe everyone should have a good understanding of what all is involved in internet market and affiliate marketing before they start outsourcing, if and when they are able. Thanks so much for your posts. I look forward to reading them. Anyone new to this business needs to take some time to learn how things work. Even if it’s just a week of research and learning. If you don’t take the time to learn about how things work, you will soon be asking where all of your money went because you spent it all on the latest and greatest things. At the rate these programs come out, you could easily blow $500,000 in a year. Take the time to learn the ropes, decide which route you are going to take to make money online and stick to it. If you have the money buy some tools or outsource; if you don’t then start putting some elbow grease into it. If you don’t have a lot of time or money (I’m with you there) make it a point to do one thing every day to further your online business. Write an article, build a lens, build some links, or write a blog post. Get something DONE and get out of the forums. Now I’m off to go and move forward. BTW, I believe the chicken came first, but that’s just my 2 cents for what it’s worth. That’s a great post PPG. I can vouch that having money to spend on your IM education is not going to be the solution that will automatically spit money out of your personal ATM. And it does not guarantee that you will be successful marketing online. Don’t get me wrong, money can be helpful but it can also be harmful because if you don’t take any action and implement what you have learned what good is it? This is from my personal experience. I would buy a product, great product BTW, and as I’m working my way through it I would do something stupid like go into my email. This was a huge mistake because I love shiny things and my inbox would be full of them. It wouldn’t take me long to find another product that I couldn’t live without and start the cycle all over. I finally broke my addiction when I realized that I had bought the same product twice within the about week. It was only then; I decided to settle down and start to FOCUS on the important things that were going to grow my business. I’m now taking action with the techniques, strategies and just one system, out of many, that I learned and not jumping on anymore shiny objects. I read somewhere that “Success is a direct result of ACTION”. You can also add discipline and focus! I don’t think money would necessarily make you any smarter, but I think having extra money to buy the necessary tools, dabble in a little PPC etc.., would definitely be a big help, at least for me. Thanks again for some encouragement I needed. I am tempted to buy stuff to help me save time, but I do not have the money so I’ll just keep on taking action and using free tools until I have. Thanks for the Post. I’m in the some time some money bracket – but I liked Chuck’s comments about “not jumping on any more shiny objects.” – that’s where I need to be. When you set yourself up as PotPieGirl was it a conscious decision not to use your name – and if so, what rationale did you use for making the decision? I’m in the early stages, and part of me doesn’t want to use my name, but part of me would feel dishonest if I for example put an article out under a pen name. Thanks for you post and ALL YOUR HELP Jenn! serioulsy, only for you I would be nowhere online. Even though i only subscribed to WA 3 weeks back and bought your OWM course, I have managed to get about TEN squidoo pages live and got them showing on googles first page! To answer your post, i am very lucky as i have both time and money to invest, but totally agree with what you are saying. I will not be spending money on PPC until i understand the internet a bit more! When my husband started out a couple of years ago, he put all the savings we had into internet marketing – we lost the lot! Now I have started trying to make a bit of cash, like you I just don’t have the funds to spend. However I also have another drawback I have 2 young daughters one of whom does not go to school until August. So time can be limited too. I’ve had some success but all I can do is plod on and hope for more in the future. I started with some money and a good amount of time. I invested in a lot of high dollar courses. As it turns out, I found my best investment was a copy of Anthony Robbins’ Personal Power II – I bought it used on eBay from someone who hadn’t taken the shrink wrap off the fourth set of discs… that set of discs changed my entire mindset. It helped me break through the mental blocks and take action. There are a lot of good courses out there that will work… if you do. The challenge is that we are naturally skeptical. We buy a course but we expect it not to work, which is demotivating. That expectation causes us to put forth a ridiculously weak effort which obviously fails miserably. Instead of learning from the mistake, we tell ourselves, “See! I knew it was too good to be true,” and we move on. Whatever course you buy, expect it to work… if you will work and give it 100%. Realize nobody can sidestep the natural progression from beginner to expert. Fail… and learn. Fail again… and learn some more. Earn your stripes. Keep going. Be relentless and you will make it. Money can help, but money alone will never do it. Success takes hard work. I run into so many people who want success without any sacrifice. Won’t happen. Lots of time and no money! That’s me right now. I don’t think that puts me at a disadvantage in this business though. Not because I am already making money because honestly I am only in my first week of actually having a plan and working on it. But I can say that I have paid for countless programs in the past, more than I care to count or add up the cost of! Problem was buying a program that promises the world on a silver platter has always turned out to be a big mistake for me. I am not a person who is afraid to work and I am not a stupid person (well except maybe for the part where I kept buying those programs! LOL). The problem was that the programs were always missing a vital link of some type. Take “this” and do “that”. OK, so what if you don’t have “this” or don’t know how to do “that”? Well the answer has always been simple! Either hand over more cash or flail and fail! Jennifer, you have given me a plan of action and directions for each and every step. You have given me hope and determination that I thought I had buried long ago! I may not be doing everything perfectly, but I am doing something! I have set myself a goal, a goal so big that many, including you may say I am crazy! LOL I have shared my goal with a couple of people whom I trusted to not put me down and try to discourage me and I am determined to make it this time! For my sake, for my family’s sake, for the sake of eventually having all of this very same time AND some money to go with it without selling myself to another boss who doesn’t deserve it! I deserve it, and my family deserves it and my animals deserve it, and this time I am going to do it! For anyone who is on the fence about buying Jennifer’s One Week Marketing Program I can honestly tell you it is soooooo worth it! Sorry, didn’t mean for this to sound like a sales pitch but I want to let anyone who needs this as much as I did to get it and join me in a huge goal! Good Luck to each of you! And Thank You Jennifer for the program and all of the inspiration we get from each of your posts! I guess that I have a lot of time, and a little money that I use to automate some of the processes. I work from home fortunately, and I am up at 7am and generally turning off my computer around midnight if I have to work the next day. I am about half way to success, and I can feel it. I think that I am questioning myself too much when I already know a lot of the answers about what to do to really start making enough money to quit my day job. I try everything, and I have niche sites everywhere. I am a bit scatterbrained (LOL), and I can’t seem to stay with one thing. It’s like a merry go round for me, I pick up where I left off with each site as I move each one along. Is that a good thing? I love One Week Marketing, and I often return to it with a lot of my campaigns. I am also learning how to make money with contextual ads on niche sites, and I am up to about $3 a day there. Internet marketing is about multiplying your successful efforts right? The more articles, Squidoo lenses, and Hubpages, the more money you can make? Will it all ever come together? You mentioned snowballs in one of your emails. I have a lot of them, a couple make me money, and some I just can’t seem to make profitable. Thank You Jennifer, Your advise is all very helpful until you say “write articles untill your fingers bleed” and my heart sinks! I do intend not to give up, but I am older and slower. :) My web site has been a real adventure. If you look at it please don’t laugh. But I am going to keep working on it. Because I live on a fixed income and have to use all free methods. 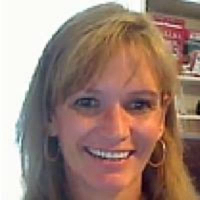 I am very thankful and grateful I found you Jennifer on Wealthy Affiliate! Keep it up as we all need you ! When you start you need to put in as much time as possible. But you need to make sure you manage your time correctly other wise you could end up easting your valuable and limited time on aspects of the site that will not bring in any money and will not help with the rankings. You are so right. I am just like you when you first started out. I have more time than money. Sure I wish I could buy some of the time saving products that keep popping up in front of me. It would really help me out I think. But for now, I have to do all the work by myself, until I can afford to use some of the time saving methods. Thanks to your website, and all your help I was finally able to get my first Squidoo Lens up. I found following your help at PotPieGirl.com made it a lot easier than I thought it was going to be. You’re a great teacher, and easy to understand! Thanks so much for helping me each day as I move forward. Some times I think I am just an old dummy..:), and broke to boot! I have no money and I need to use free programs. I do have less time than I had last year and less money to spend for anything but basics. Jennifer has been a great help to me and I appreciate all her tips and advice. She has a 10 question article and I printed it out hoping to use it to get something started as that seems to be my problem. I feel if I can get just one thing started, I may be able to learn this! Whether a beginner has the money or not doesn’t matter. A newbie HAS to start by doing every thing manually by him/herself. You have to know how it’s done before you can invest in outsourcing/buying, otherwise how would you know whether it is done properly or not?. Having money to invest is a blessing, but what to invest it in? In training on doing it manually, like in one-week-marketing. After you master it you can invest in what you KNOW will save your time and make you more money. BUT … Somethings you have to buy once you are able to:hosting, your own autoresponder script, and …. TRAFFIC. Free resources and organic traffic are NOT to build a business on. You can only build a business on what you pay for. Free resources are not under your control at all. One of them changes the rules today and your business is gone. Sorry for the long comment, but I had to let it out. Wow – y’all are so amazing! Thank you for all the FANTASTIC feedback! I also want to apologize to any of you who had a delay with your comment getting posted. For some reason, some really great comments were getting hung in my spam filter (gotta love technology at times…lol). A big thank you to Brenda for letting me know this was happening! I love when y’all speak up and voice your opinions here…. it lets me know I’m not alone AND let’s me get to know who I am talking to. Considering I’m usually mumbling to myself as I break things online every day, it is quite refreshing to actually have conversation! Thank you – Keep it up! Great advice, thank you! It’s interesting to read everyone’s comments, because it shows we all have similiar concerns and frustrations. While I work full-time, I do find time to work on my online stuff. I have some extra money to spend, but I’m trying not to spend much, because my husband was pretty skeptical in the beginning. By trying to hold back from falling for the “shiny things,” I’ve really realized there’s A LOT of educational, valuable and free information online. When I feel stuck, I just go back to the places I started learning from (like here 😉 to re-learn. If you buy only $100 worth of stocks and it goes up an average of 10 percent every year then you would have over $2.1 million after 100 years. You can see that time is money. great post! I think money can accelerate your business when you know what to ask for if buy or outsourcing..
but time also is very important,, i think we need to know on how to manage our time and money! but anyway thanks for posting this article! very nice! Good points Jennifer. Aaahh to have more money than time…which would mean to me that I was enjoying my time doing all the things I love and being with the people I love because I had the money to do that. I think for newbies if you can just get past the urge to make money quickly and focus on doing all the steps necessary to learn and do proper keyword research and setting up your sites properly you will find that it gets easier and faster and then the money comes. That’s why I liked ONE WEEK MARKETING so much it layed those steps out and all I had to do was DO IT over and over again. Don’t go searching for the next best thing to make you money. FOCUS on one thing at a time and do it well and consistently. Doing the work yourself is a long-term investment that will ensure that you can outsource wisely when you do have money to reinvest in your business. Money speeds up the process no doubt, but spending money on things you don’t understand may mean that you never develop a profitable business. I would definitely say that I have more time than money. I just lost my job. I have all the time in the world. Using the right internet marking strategy can be your ticket to a thriving business adventure. Because the internet has been an reciprocal means of making possible clients and yielding sales, applying the correct on-line marketing scheme can make the difference when it comes to your business task. The things that you have to remember when making the decision of which marketing strategy to practice is whether or not it will be advantageous for your business. It is a fact that rich people do not trade time for money. Only the working classes adopt this method of working but it does not matter how hard they work they will never be rich. Learn from the teachings of Rich Dad Poor Dad and opt out of the Rat Race. Everyone wants to make money online for free. If nobody spends money who will you sell too. It takes a long time to build a online business and you can get it going with a little money and hard work. I started my online business a little over 6 months ago and starting to see the potential. You have to find a good solid program and stick with it. Don’t jump around from program to program. Slow and steady wins the race. It’s quite a coincidence for me with this post. Time and Money both is as important and I work 30 hours a week so time is not in my favor. It’ s a sacrifice of one or the other. I am finding that tools and outsourcing is helping me a lot but when money is tight it’s painful too. So yes having money does help with success! I think when it comes to internet marketing you should focus on building links from as many different quality sources as possible. If you can’t afford some services focus your time and other good ways of marketing your site for free.